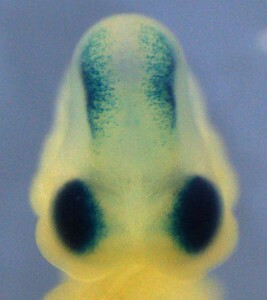 How is the brain assembled and sculpted during embryonic development? Addressing this question has enormous implications for understanding neurodevelopmental disorders affecting brain size and function. Our lab investigates genetic and cellular mechanisms controlling cerebral cortex development, and contributing to neurodevelopmental pathologies and brain evolution. 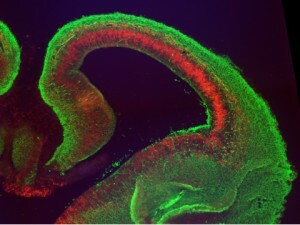 We study neural progenitors, essential cells which generate neurons and glia of the developing brain. We are especially interested in diverse layers of RNA regulation in the developing brain! 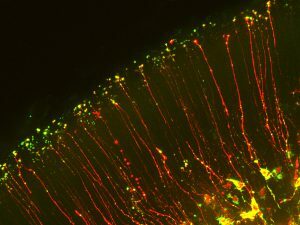 We use live imaging of brain slices and neural progenitors, mouse genetics, and functional genomics. Read some of our recent publications in Current Biology, Neuron, PLoS Genetics. Our research has been featured in several outlets including Science, the Simons Foundation, and in an interview with Debby on NPR! Silver Lab at Duke is powered by WordPress at Duke WordPress Sites. Please read the Duke Wordpress Policies. 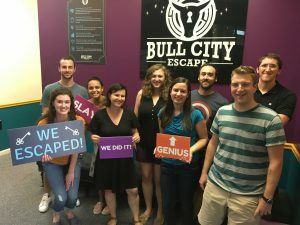 Contact the Duke WordPress team.